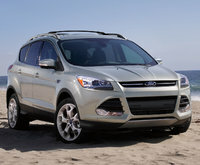 CarGurus has 87,428 nationwide Equinox listings starting at $800. Compact and comfortable, peppy (in its V6-equipped form) and prodigiously equipped, the 2014 Chevrolet Equinox compact crossover isn’t quite as popular as in its infancy, but remains a solid choice in this crowded segment. Again sporting seating for 5 and 63.7 cubic feet of cargo room with the rear seatbacks folded, this quasi-ute’s lineup remains delivered with a rather tepid inline 4-cylinder (I4) engine in its standard form, as well as front-wheel drive (FWD). Fear not, however, an optional V6 powerplant is again available, as is full-time snow-busting all-wheel drive (AWD). The Equinox quartet returns essentially unchanged from last year’s slight updating, and remains available in 4 trims, the base LS, the amped-up LT1, the penultimate LT2 and the flagship LTZ. With its touring suspension, this little sedan/ute go-between gives a comfy ride, but some numb steering characteristics leave much to be desired agility-wise. Anyhow, look for the standard 2.4-liter inline 4-cylinder (I4) powerplant to provide semi-fuel-efficient power, but don’t expect to be pinned to the seat by acceleration. Mated with the standard 6-speed shiftable automatic transmission, the four-banger puts out 182 hp and 172 lb-ft of torque, with mileage remaining an estimated 22 mpg city/32 highway in FWD editions and 20/29 in AWD trims. Towing, of course, remains maxed out at 1,500 pounds with the optional towing package installed. Should a bit more towing and hauling motivation be required, reviewers remain impressed with the 3.6-liter V6 engine that’s again available to the LT1 and LT2, as well as to the high-end LTZ. Again combined with the 6-speed shiftable automatic, this peppy powerplant throws down 301 hp and 272 lb-ft of torque, but mileage suffers a bit at 17/24 in FWD variations and 16/23 in V6-equipped AWD Equinox trims. Towing capacity, however, climbs to some 3,500 pounds with the six-banger on board. The base Equinox LS returns with 17-inch alloy wheels and power-adjustable mirrors outside, with cloth upholstery, a power-adjustable driver’s seat, reclining second-row seats and full power accessories among the standard cabin adornments. Cruise control again comes standard, as does telescoping tilt-wheel steering, while Bluetooth hands-free communications bolsters OnStar Directions and Connections service. Also returning for this year is the single-CD player flaunting 6 speakers, satellite radio and a USB port. Moving up to the LT1, look for heated power-adjustable outside mirrors and a roof rack, not to mention premium cloth upholstery and a leather-wrapped steering wheel. A rear-view camera that interfaces with the upgraded audio system’s 7-inch touchscreen display also comes standard, with the display flaunting GM’s MyLink smartphone apps for Pandora and Stitcher radio. The Equinox LT2, meanwhile, throws in remote engine start, auto climate control and an auto-dimming rear-view mirror, heated front seats and 8 Pioneer premium speakers. Finally, the flagship LTZ returns boasting 18-inch chrome-clad wheels, leather upholstery, a power liftgate, rear parking sensors, power-adjustable front seats and memory for driver's settings. As is traditional, options on lower Equinox trims include many of the standard amenities found in higher trims, while the LT2 and LTZ can be delivered with a power sunroof and a navigation suite. Additionally, the LTZ once again remains eligible for available upgraded and upsized wheels, as well as a dual-screen rear-seat DVD entertainment system. Safety-wise, look for Chevy’s spiffy 2014 Equinox to sport standard 4-wheel antilock brakes, traction and stability control, front side-mounted airbags, and front and rear head airbags. Daytime running lights are also standard, as are OnStar safety assistance and communications, a post-collision safety system and a remote antitheft alarm. The LT2 and LTZ trims, meantime, also get standard front fog/driving lights, with the LTZ boasting a standard lane-departure alert and forward collision warning that’s optional in the LT2. 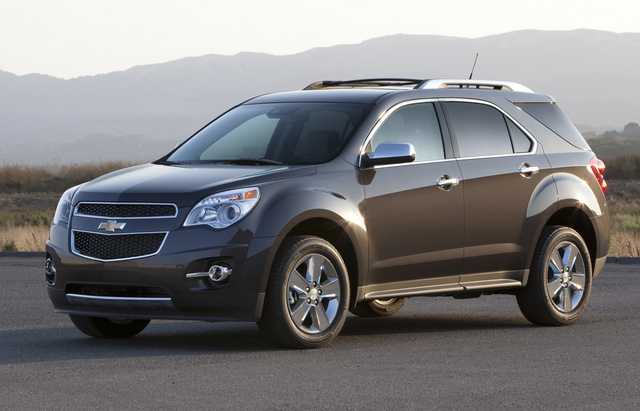 What's your take on the 2014 Chevrolet Equinox? SSShooter After 120K+ miles and averaging 28.5mpg with my 4cyl LTZ 2WD and spending a grand total of $0 on repairs I can say it is a hell of a good deal. I live on east cost (14mi from the Atlantic) and have been to the Pacific twice and the Rockies 4-times and it has been a terrific ride. I do wish for more power for the mountains when loaded with two adults and their gear for a week-long national shooting match (NM Mtns), but other than that have zero complaints. Hope my next one, with the 6cyl engine, is as good. Users ranked 2014 Chevrolet Equinox against other cars which they drove/owned. Each ranking was based on 9 categories. Here is the summary of top rankings. 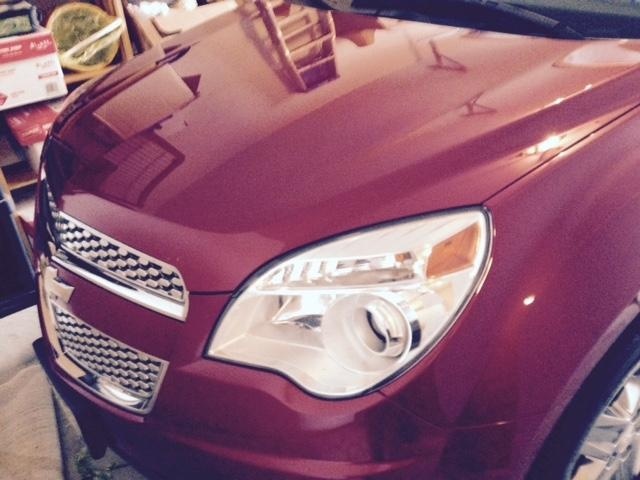 Have you driven a 2014 Chevrolet Equinox?